There are, it seems, possibilities everywhere. At times I am guilty of letting my dadly duties get the best of me and I become a little dismissive. Not dismissive of my daughters, but of the seemingly ordinary things by which they become brain-contortingly enthralled. These ordinary things are often the catalysts that spawn whole fantasy worlds. Twigs, leaves, bark – the centerpieces of heroic sagas. Entire pioneering expeditions to the park in full princess regalia with the dog in tow and books and toys carefully chosen for the journey have stalled out because someone forgot a rock. A small, slate-colored, asymmetrical rock. Apparently, the rock was one of Bug’s children, Shoshu (not sure of correct spelling – I never actually met Shoshu), who needed to be dropped off at princess school on our way to the park. My dismissiveness usually arrives in the form of “No, you may not bring that stick into your bed” or “Bug, it’s a bag of dirt. Just leave it there – I don’t want it in my car and we need to get to…”. This is usually met with a strategy on my daughter’s part of drawing me into the story in order to get me emotionally involved. She tries to get me to connect with the bag of dirt. Admirable, but it usually doesn’t work – once I have decided not to play along, trapped in my adultified, sterilized, ‘get things done’ zone, the dirt doesn’t stand a chance. She probably thinks I’m a dirtist. The depths to which my daughters can dive in their imaginary sea are astounding. The layers of detail that they create are inspiring. The speed at which they go from one epic tale to another is dizzying. The crap that they decide is crucial to each story is ridiculous. But, honestly, the ridiculousness doesn’t steal from just how cool it is to see them create something so vivid out of essentially nothing. Unfortunately, I don’t always allow myself to see how miraculous what they are doing is. Tragically, I probably squash that divine creativity a little when I am shuttling them through the drudgery of errands and household chores. Sometimes, though, my limitations don’t limit the physical and emotional landscape they can paint when inspiration finds them. Sometimes, too, I am permitted to just sit back and watch unfold what truly is magic. Strange magic. But magic, nonetheless. So, last night we got home from a trip with some very good friends who have kids about the same age as ours. With four kids with ages ranging from 2 to 5, childhood wonder was abundant. Our nearly four year old, Bug, was responsible for one example that was hilarious. More than that, though, it was beautiful. A dead grub was discovered floating in some water. All the kids were curious, but Bug (ironic, huh?) was captivated. 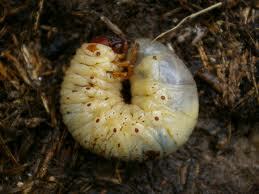 The grub was certainly dead but hadn’t been there long enough to deteriorate, which made it ideal for inclusion into a story that Bug had yet to tell. She scooped it up and tenderly escorted it around to each person in the group, “Did you see my grub?” The light in her eyes and gentle strides exuded the love she had for this thing. She cupped it in both hands and just walked around talking to all of us, but really to herself, about who her grub was and how much it needed her. She was creating his story. She even posed for pictures with it cuddled to her cheek. Death is not totally foreign to her. She has heard of it, we have talked about it and she has seen it in small forms on the side of the road or in our yard. The permanency of death and what it really is, though, escapes her tiny grasp. She heard us say that the grub was dead, but she didn’t really get it. Frankly, even if she did get it, I don’t think she would have cared. She found a creature that was in need, as she saw it, and she was going to help that creature, weaving it into her story as she created it. It was coming to nap time and she started to bed with her new little friend. When she was told that he would not be joining her she protested for a moment but then set out to find a suitable spot for him to wait for her to return. After a couple of ideas were shot down by the Sanitary Police, she enlisted the other father in the group to help her. He is a terribly kind and gentle man and patiently went from spot to spot in the yard with her, offering advice as she looked for where her grub would have plenty of “water and good food”. Satisfied, she went to take her nap. The minute she woke she said, “I must go find my grub – he needs me”. 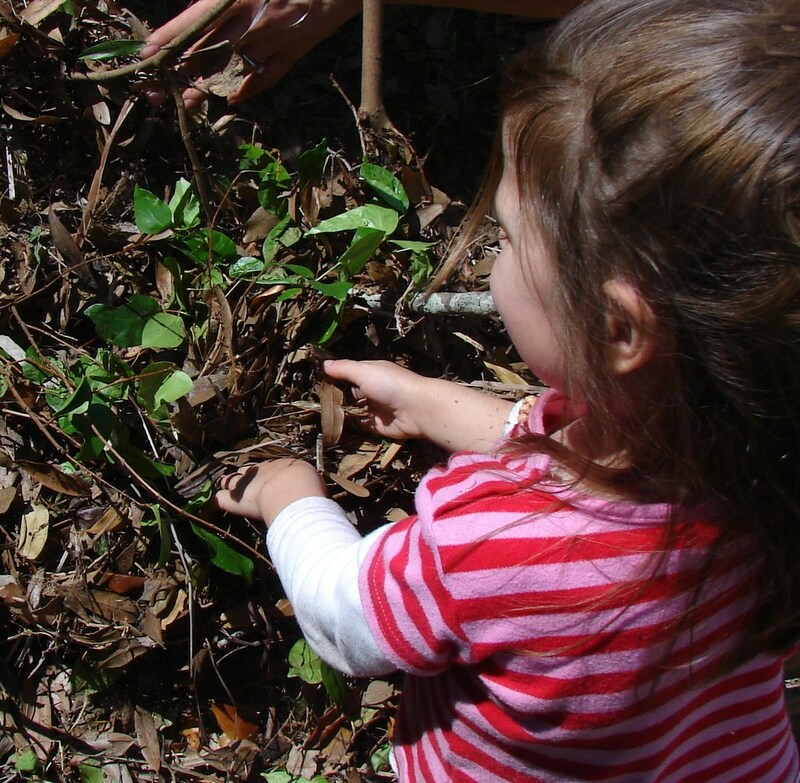 What triggered her intense affinity for a dead beetle larva, only Bug knows (maybe it was the fact that her mom and I call her ‘Bug’ – seemed so cute when she was a baby). I honestly don’t care. She found another being that, in her blurred lines between imagination and reality, needed her to care for it. She recognized her capacity for love and used it to benefit another. He became something to her, something that she alone created, and she nurtured it. It was a beautiful thing to watch. I am going to try to remember that grub the next time my jaded adult perspective tells her to put that dirt down because we have to go to the grocery store. I’m going to try to remember that I saw her learning about giving of herself to others as she carried a dead bug around in her hands. Within that imagination, her love was powerful and recuperative, just as it is in “real” life. No trip to the grocery store is worth more than what she may learn about herself the next time she wants to bring a bag of dirt with her. Hell, maybe the dirt does need her. This entry was posted in Uncategorized and tagged daughter, death, fatherhood, grub, imagination, learning. Bookmark the permalink. She sounds like a total sweetheart and I think you have a lover of nature on your hands. This will mean lots of smudges in the hallway, lots of dirt in the car, and lots of extra hand washing. But, it’ll also mean lots of memories and a childhood filled with wonderment. Eat it up, it goes by way too fast. She is an incredible little being. I try to drink it in as much as I can – at least between washing the walls and picking up the ‘nature’ around the house. Thanks for coming by and sharing your time. This is so beautiful. It’s funny because I feel the same way about my housemate, Kaileen. It’s so easy for me to settle into the role of ‘responsible adult’, who not only goes to school and organizes events during the day, but can come home make dinner and clean up the house. I am a very committed, responsible person and I take great pride in having these qualities. My housemate, Kaileen, is a free-spirited, sort of shy and reserved, artist who spends every moment of her existence dreaming up ideas to birth into reality (or surreality as she calls it). She struggles with the reality of her age and inevitable obligations that come along with that, and copes by endlessly writing To-Do lists that, if compiled, could fill a room in our house. She says that if she doesn’t write things down, they will disappear from her memory altogether. 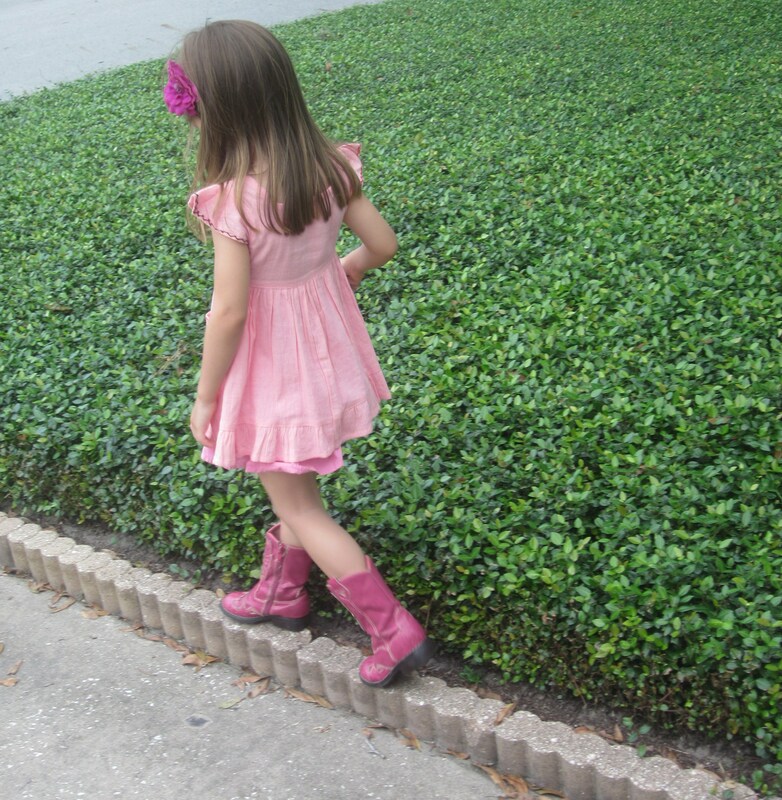 I see her and on the inside I see little Bug in her pink dress and cowboy boots, making reality what she wishes of it. At times I find this irritating, because she does not do her chores or remember to pay bills on time, but I also cannot anger myself with her actions because she reminds me of a little girl. She tells me her elaborate dreams run into reality and back into her dreams. She can’t remember when reality was real or if it was only a dream; there is something beautiful about this too. Thanks for sharing that, Alyse. There is something I so admire about people who have the ability to stay deeply rooted in childlike wonder. I think if we all could stay there just a little more often we would all be better off (and the world a less tense place). Happy Thanksgiving. Seems implausible, right? Hopefully, she can learn from my shortcomings. Thanks for reading.